95mm from stick to buttons is waaayyy off arcade dimensions. Arcade dimensions are also incredibly cramped for anyone with hands larger than a small pea. I'm building a stick, and was planning to use this diagram as my guide. However arn't the buttons too close? Is it using OSBN30 or OSBN24 buttons? Is this diagram scaled to size? 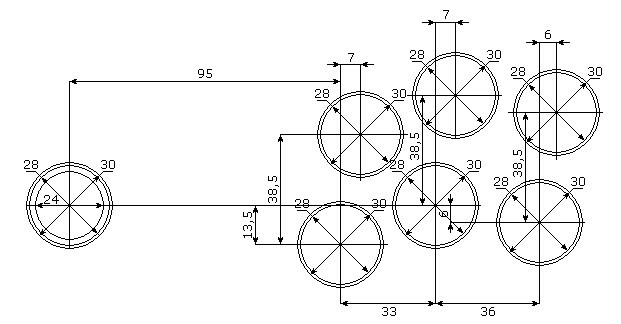 well.. as i can see, the diagram show the holes for the buttons is 30mm and 28mm. so that means it should not be a perfect circle? but can sanwa buttons fit?